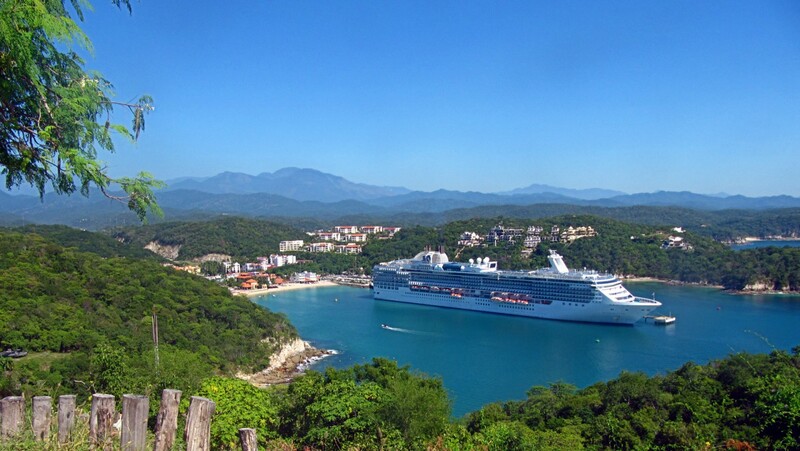 Strictly speaking Huatulco, Mexico refers to a region. Santa Cruz is the name of the port and is a destination for cruise ships. The port isn't very big so on the day we saw this cruise ship from a hill overlooking the harbour, I wondered how they managed to shoehorn the vessel through the narrow mouth. Particularly, since the harbour is busy with tour boats, jet skis, paddle boarders and kayakers, etc.